Additionally, PHP and MySQL, bring applications to the web easily. PHP is the easy-to-learn script language. MySQL is the stable and fast database that can measure with all large and fast relational database management systems. 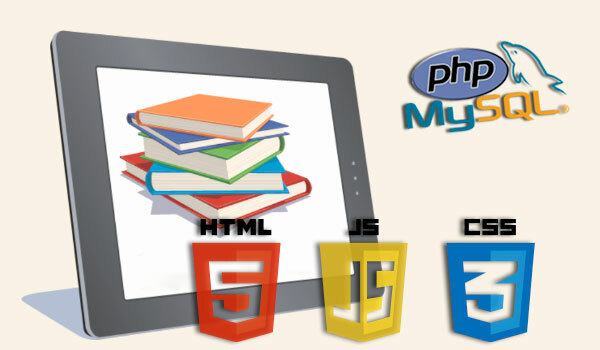 Within PHP/MYSQL platform, there are various areas which students can specialize in like CRM development, SAP, CMS development, custom application development, working on PHP frameworks like Laraval and WordPress and web application development..
HTML-elements- basic tags, attributes, formatting, entities, links, frames, Tables, list, forms-post and get method, form elements, tables, Images, background colors, color values, color names. CSS – Introduction, syntax, background, text, font, border, outline, margin, Padding, list, tables, Positioning, pseudo class, pseudo element, image Gallery. Cascading Style Sheets, Dynamic Style Sheets, Positioning, Document Object Model. Easy Web provides industrial training in PHP/MYSQL in Zirakpur for the students of MCA/BCA and BTech. There are 3 types of PHP/MYSQL training provided in Peermuchalla – 6 weeks, 3 months and 6 months. Having learned theory of PHP/MYSQL development the industrial training gives a big boost to the student’s opportunities to get a job in the industry. The PHP Industrial training in Peermuchalla (Zirakpur) is conducted under the supervision of PHP/MYSQL programmers who have worked in the industry for the last 6 years and still continue to work in the area. Since industrial training in PHP/MYSQL, the emphasis is on practical training on joining the students immediately start work on sample projects that are in demand in the market. After this, students get opportunities to work on live projects by joining an existing team of developers who are already working on the project. This gives the students confidence in their abilities and the fact that they can add practical experience in the area to their resume, gives them a clear advantage when applying for jobs.